It was a horror week for QBE: $6 billion wiped from its market worth, another large earnings downgrade and a chairman going. There is something else of concern, however ... something that has yet to be touched upon in the furore enveloping the insurance giant. Interred in the final footnote to QBE’s annual accounts, ‘‘guarantees and contingent liabilities’’, are two items: a $US1.36 billion ($1.51 billion) letter of credit and a $US1.94 billion letter of credit. The first is ‘‘in support of the group’s participation in Lloyd’s’’ of London; the second ‘‘in support of insurance provisions of controlled entities’’. Already, QBE’s thin levels of reserving have become a critical focus of market concern. Though how fragile is the overall QBE edifice? How would it withstand a barrage of big insurance claims? To glean a better understanding of this structural risk, we would need to know what assets had been provided as collateral for this $US3.3 billion in guarantees, as well as the counterparties and the terms involved. Let’s start with the first item. There is $US1.3 billion for Lloyd’s of London, specifically in support of QBE’s syndicates 386 and 2999. The accounts of these entities show the first has $US207 million in cash and the second is in negative equity. In the event of a plethora of adverse claims, this $US207 million in cash would have to be depleted before the banks supplying the letters of credit were required to act. What collateral has QBE provided for this comfort from its banks? It is not clear from the accounts. The company, however, told BusinessDay the letters of credit were guaranteed by parent company QBE itself. Credit ratings then are presumably critical to the letters of credit, and QBE’s credit ratings have been put on ‘‘negative credit watch’’ by assorted ratings agencies in the wake of the recent bout of write-downs. What is not known is how, and at what point, QBE would be required by its banks to provide hard assets in support of the letters of credit, rather than merely its good name. The second item, the $US1.94 billion letter of credit, does not pertain to Lloyd’s but rather to other QBE entities. A spokesman said Equator Reinsurances had pledged $US1.9 billion in security to a syndicate of banks in support of QBE’s reinsurance activities. The problem here for investors is visibility. Equator is a ‘‘captive insurer’’. It is owned by QBE itself, but it is domiciled in Bermuda and its capital position is unknown. So here we have an obscure Caribbean entity, owned 100 per cent by the parent QBE, which is guaranteeing QBE’s own activities to the tune of $US1.9 billion. Equator reinsures not just QBE’s US operations – the culprit in last week’s write-offs – but its other global operations, too. The fate of ‘‘long tail’’ insurance obligations will not be known for some time, but if things were to turn ugly, the banks would demand more security than mere guarantees. On a helicopter view, intangible assets make up $US5.6 billion of QBE’s $US11.2 billion in total net assets. So this $US3.3 billion in letters of credit is backed by $US5.6 billion in tangible assets. 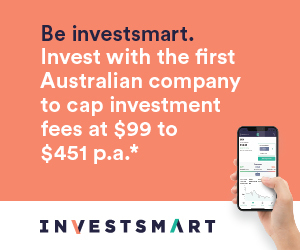 The QBE spokesman said on Sunday that no Australian assets, either belonging to policy holders or shareholders, had been pledged to support the letters of credit. That is good news. Last year, the company – and its lawyers in an indignant defamation threat – denied it had pledged Australian assets to support other activities. QBE subsequently conceded it had pledged assets, but said those positions had subsequently been wound up. At the time, the Australian Prudential Regulation Authority, which regulates insurers, also said no assets had been pledged. Investors, government and policyholders had better pray APRA has a handle on what is happening at QBE. Does it know, for instance, the intimate financial details of Equator Reinsurances, because a lot seems to be riding on this mysterious entity. HIH blew up in 2001 after its Australian assets were called on to support adverse claims in its US business. In the US, insurance assets are tightly monitored and ‘‘segregated’’. Not so here.